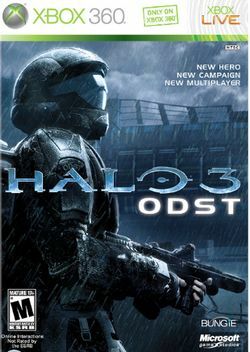 Halo 3: ODST is a standalone expansion for Halo 3. The game centers around soldiers known as Orbital Drop Shock Troopers (ODSTs). It features an all-new single player campaign. The multiplayer component shares the maps and gameplay of Halo 3's multiplayer. The campaign served as an add-on for Halo: The Master Chief Collection. This page was last edited on 26 July 2016, at 16:44.